The results of TS TET 2016 Exam will be announced on the official website of Telangana Education Department – . The exam took place on May 1. This time, around two lakh candidates participated. Go to the official web portal of the government. Look for the link stating the same result. Enter the asked details like registration number. Download and take a print out of the same for your future use. 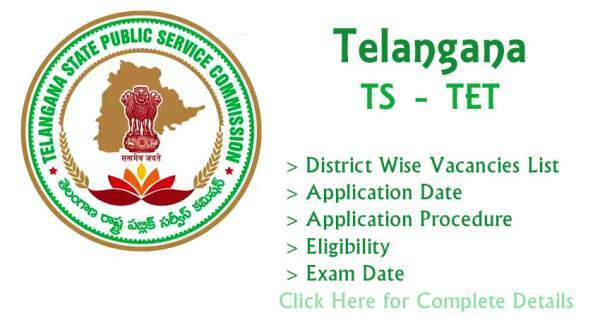 The Telangana TET examination consists of two papers. Paper 1 is meant for those aspirants who are aspiring to become the teachers of class 1 to 5. The Paper 2 is intended for those who wants to teach the classes from 6 to 8. The Telangana TET exam conducted at numerous exam centers all across the Telangana state. Stay tuned to The Reporter Times for latest TSTET news and other exam results updates. Feel free to share your views and thoughts with us.